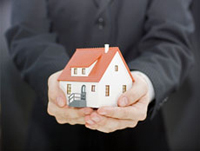 Anchor Bay Property Management, Anchor Bay Property Managers, Anchor Bay, CA Property Management Companies. We offer a full range of property management services tailored to you as a homeowner, landlord, or an investor. Our residential management portfolio spans from north of Anchor Bay, south along the Gualala area and throughout The Sea Ranch. Whether your home is a vacation rental, or tenant occupied as a long-term rental, here are some of the reasons to consider Coasting Home. The Benefits of Working With Coasting Home, Inc.